b. c.1685, 1st s. of John Barnard, citizen (glover) and merchant of London, of George Lane, St. Botolph’s by Sarah, da. of Robert Payne of Play Hatch, Sonning, Berks. educ. Wandsworth sch. for Quakers. m. 5 Oct. 1708, Jane, da. of John Godschall, Turkey merchant, sis. of Sir Robert Godschall, 1s. 2da. Kntd. 29 Sept. 1732. Glovers’ Co. 1728; Grocers’ Co. 1737-58, master 1738-9; alderman of London 1728-58, sheriff 1735-6, ld. mayor 1737-8; pres. Christ’s Hospital 1740-58.
he would have the clergy distinguished with favour who were Tories in the Church and Whigs in the State, not high flying Tories, but moderate ones who were for preserving the Church doctrines without violence and persecution, men at the same time who would exert themselves against Popery, which makes great advances in London. There is a person of another nature and disposition, who affects to be the governor of them [the other candidates] as well as of us; one who is busy, furious, clamorous and loquacious, of late a speech-maker, a Christian and a patriot; who understands our refined politics and our religion comprehensive of all sects whatsoever. This is the character he is ushered in with, or rather with which he ushers in himself, but he may draw his own picture as he pleases, for we are ignorant even of the features of his face. This indeed we know, that before he was known as a candidate, which was the first time he ever was known, he set up himself, declared in public coffee-houses his intentions, how, in what manner, he would manage us; whom he would join, and whom he would reject. As if he had already monopolized us, and the sole command of our liberty, our property and our votes were vested in him. In his first Parliament Barnard took an independent line, speaking against the Government on the army, 26 Oct. 1722, opposing the city of London elections bill, which gave the aldermen a veto on the decisions of the common council, but supporting Walpole against an opposition demand for an inquiry into the national debt in February 1726. Throughout the next two Parliaments he acted consistently with the Opposition, becoming one of their principal spokesmen, especially on trade and public finance. In his opposition he reflected the views of his constituents, the small merchants, tradesmen, and master craftsmen of London, who hated Walpole, because they believed that ‘he never did anything for the trading part of it, nor aimed at any interest of theirs but a corrupt influence over the directors and governors of the great monied companies’.3 In 1730 he presented a petition against the monopoly of the East India Company. In 1731 he attacked the Charitable Corporation, and in 1733 he promoted a bill against ‘the infamous practice of stock-jobbing’, which, if it had been enforced, would have prevented the development of the stock exchange. But he was duly elected lord mayor, and his business does not appear to have suffered. At the end of his term he received one of the warmest eulogies ever received by a lord mayor from the common council. About this time Lord Cobham included a bust of him among the nine contemporary worthies thus commemorated in the gardens of Stowe. When the Opposition split on Walpole’s fall, Barnard took an independent line, refusing office for himself but accepting a commissionership of stamps for his son. After Carteret, now Granville, had been forced out by the Pelhams at the end of 1744, Barnard delivered, 23 Jan. 1745, a panegyric on his Administration, as ‘more glorious for this country than any ... since 1710’, warning ministers that ‘the closer they followed the steps of their predecessor, the better opinion he should entertain of them’. A fortnight later, 6 Feb., he attacked the terms of the recent war loan as extravagant, calling on the Government to throw the under-writing of loans open to the public, instead of confining it to a small group of monied men and institutions.5 He followed this up, 12 Feb., by speaking for a bill promoted by the London corporation to abolish a longstanding grievance, the aldermen’s veto on the proceedings of the common council, but it was opposed by Pelham and rejected. 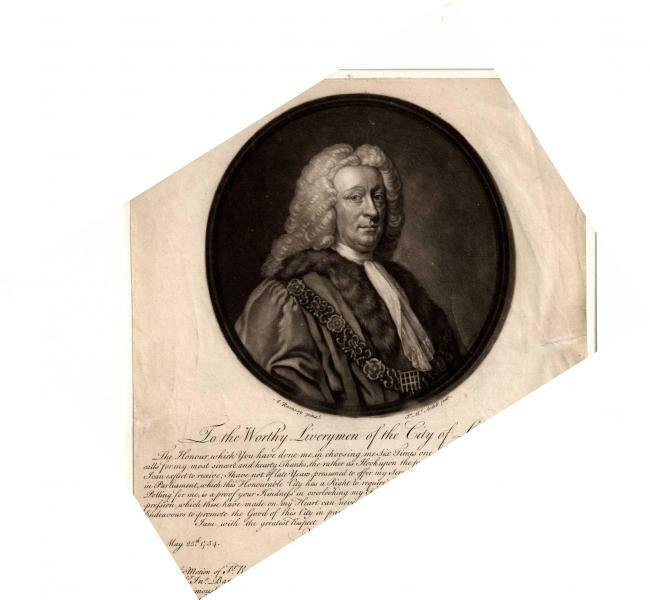 So Pelham himself seems to have thought, for in the following December, soon after the opening of the next session, he agreed that the 1747 loan should be raised by open subscription as recommended by Barnard, who should himself be the chief organiser of the would-be subscribers. As a result, in the new Parliament which was elected that year, Barnard, who in April 1746 had been classed among Granville’s followers, was put down by Newcastle as a government supporter. By winning over Barnard, then at the peak of his popularity in London, where a statue of him was erected that year in the Royal Exchange, an unprecedented honour, Pelham not only disarmed the anti-government forces in the common council, but secured for his financial operations the support of its influential representative, whose views on finance were particularly respected in popular circles. The value of that support was shown when Pelham in 1749 introduced his scheme for reducing the interest on the national debt from 4 to 3 per cent. The scheme was drawn up in a consultation with Barnard, who took part in the drafting of the legislation and, when it showed signs of foundering, like his own scheme in 1737, on the opposition of the great monied companies, published a defence of the measure, which was successfully carried into effect. Though Pelham, and after him Newcastle, as heads of the Treasury, made a point of consulting Barnard on financial matters, in practice they continued to rely on the small group of monied men and institutions, whom he deeply disliked, but they carried out their operations with such tact that they did not lose his support. His only opportunity of trying out his own financial ideas, unhampered by the Treasury and the ‘monied interest’, was given him by H. B. Legge who, as chancellor of the Exchequer in the short-lived Devonshire-Pitt Administration, 1756-7, adopted Barnard’s proposals for raising a loan of £3½ millions by issuing £1 million one guinea lottery tickets and £2½ million annuities. It has been said of these proposals that their advantages were that if they were successful the money would be raised without permanent increase to the national debt and at a very moderate rate; their disadvantage was that they were extremely unlikely to succeed. The lottery, which even Barnard’s friends recommended to the public ‘rather as a patriotic duty than as a profitable speculation’, brought in no more than £60,000 three months after it had been opened. The annuities, made unattractive both by the complexity of the scheme and the rates at which it was offered, produced only £313,000 towards the £2½ million required. In the end the leaders of the monied interest raised the money by the traditional means of a closed subscription, despite the opposition of Barnard, ‘whose abilities in points of credit’ they were said ‘to rank no higher than a schoolmaster who can teach boys to cast sums but not teach a man where to get credit for them’. Would not ... that capital ship, the Sir John, if thoroughly examined by a skilful master in politics, be found most confoundedly eaten by ministerial worms, and perhaps be reported so rotten and crazy as not to be trusted on any future service? 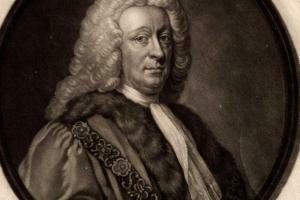 Barnard resigned his aldermancy in 1758, did not stand in 1761, and died 29 Aug. 1764. 1. HMC Egmont Diary, i. 262; ii. 515; Walpole, Geo. II, i. 45, 357, 365-6. 2. CJ, xix. 344-5; Wright Foyle, Hist. Lloyds, 55; Daily Post, 20 Mar. 1722. 4. HMC Egmont Diary, ii. 366, 396-7; Hervey, Mems. 726-9. 6. HMC Egmont Diary, iii. 315; R. Lodge, Private Corresp. of Chesterfield and Newcastle, 129-30.